Download World Cricket Championship 2 latest version for Android devices from APKWing. Perfect game for a true cricket fan! 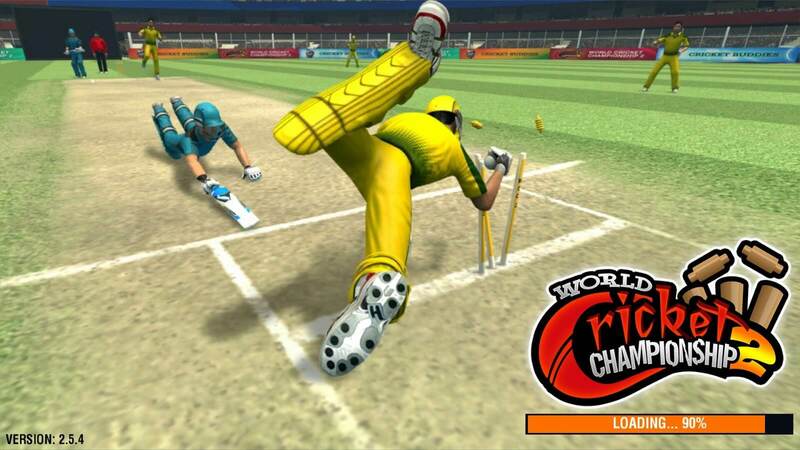 World Cricket Championship is the best Mobile Cricket game in Android developed by Nextwave Multimedia Inc. 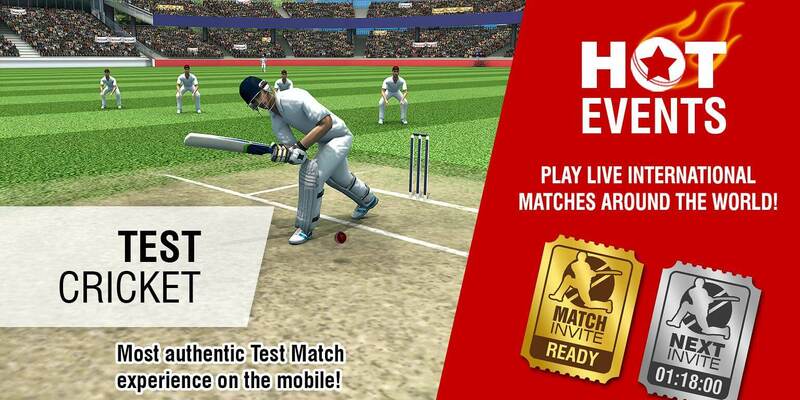 If you're a cricket fan then you should definitely try this amazing cricket game for Android. From last 3 years, World Cricket Championship 2 (WCC2) has been selected as the Best game of Google Play in 'Most Social' category. 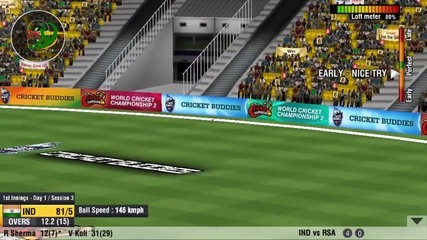 In WCC2, you can choose to play different modes such as Quick Play, Test Cricket, Tournament, Series, World Cup. Complete the challenge to earn big and unlock credit points. Win matches and get points and then use them to unlock stadiums, tournaments, kits, and accessories, etc. This game is a great cricketing experience for cricket fans. You can also play all the popular cricketing shots such as sweep, reverse sweep, Helicopter shot, upper-cut, inside-out. You can customize the players by changing their looks, dress, accessories. Enjoy the World Cricket Championship (WCC2) in English or Hindi Commentary. I'll say this is the best Cricket game in Android with real-time commentary. In WCC 2 you can pick your favorite playing XI on your team and send them to compete against your opponent. Use Loft to hit powerful shots for a boundary. In T20 and ODI, the loft is always enabled while in test cricket you can use loft only when the player loft meter reaches to 100. In test cricket mode, you need to be patient in your shot selection. 18 International teams, 10 Domestic teams, 24 different stadiums. Realistic 3D cricket experience with audio commentary. Quick Play, Test Cricket, Tournaments, Challenge a friend. 3 Different pitches - Dead, Dusty, Green. Challenge your friend using the Challenge mode. Hawkeye view for LBW appeals. Auto and manual field settings. Real-time English and Hindi Commentary. Save and share match highlights at the end. Click on the below button to download the APK file of World Cricket Championship (WCC2) for your Android device.